Being overweight and obese is considered a health risk. Obesity or the protruding tummy gives an ugly look making people suffer from low self-esteem. Besides, obese people have become weary about diets, exercises, surgeries; and feel they do not produce any desired results. Thanks to Speeddwell Botanical, a world class Ayurvedic Products Company, which has committed itself to solving once-and-for-all this obesity problem with its amazing product Perfekt Slim, a powerful tablet that burns excess body fat in a safe and a natural process. It is made-up of 28 Ayurvedic pure herbs. It stood the test of scientific efficacy. It is 100% purely vegetarian. No chemicals, no additives, and no animal fat oils used. Perfekt Slim is the only remedy to burn excess fat in your body and get back into shape the natural and healthier way. Perfekt Slim causes weight loss by improving body’s metabolism, digestive system and colon health. The 28 Ayurvedic herbs in it enters your bloodstream and alter the activity of glands that controls the release of hunger and stress hormones. Perfekt Slim Tablets reduces the intensity in hunger at the same time raises the energy levels, and there will be no constipation problems as such. 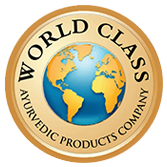 Please remember, Ayurvedic remedies are guaranteed and permanent in nature. Similarly, Perfekt Slim takes time to cure your obesity and overweight problem on a permanent basis without causing any side effects. But of course the results vary from person to person. Dose : 2 tablets twice a day before food or as advised by your Physician. Caution : Do not use during pregnancy and lactation period.